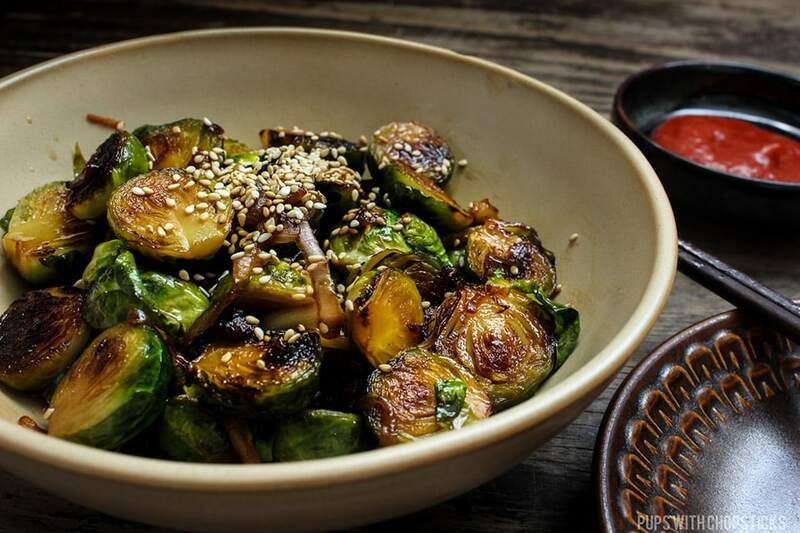 Super quick and easy pan fried brussels sprouts tossed in a sweet honey soy sauce glaze! No need for ovens or a roasting pan for this one! All my life, I had no idea what brussels sprouts tasted liked – I barely knew what they looked like. One thing I did know was that everyone I ever spoke to always seemed to hate them. They were apparently always vile things that are not meant to be eaten. I saw that as a challenge and I took my chances with it and have not regretted it since. 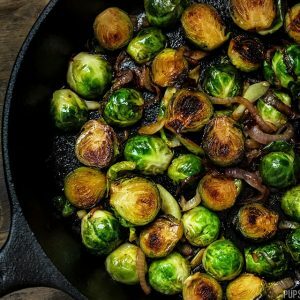 For this pan fried brussels sprouts recipe, I caramelized the onions, garlic and brussels sprouts, I found the caramelization toned the bitter flavour down a bit because it gave it a nutty flavour that almost hid the bitterness. Brussels sprouts also doesn’t need to be cooked for a long time, I find they taste best when they still have a bit of a chew to them. Lastly, I tossed it with a soy sauce honey glaze which worked quite well with the caramelization flavours. 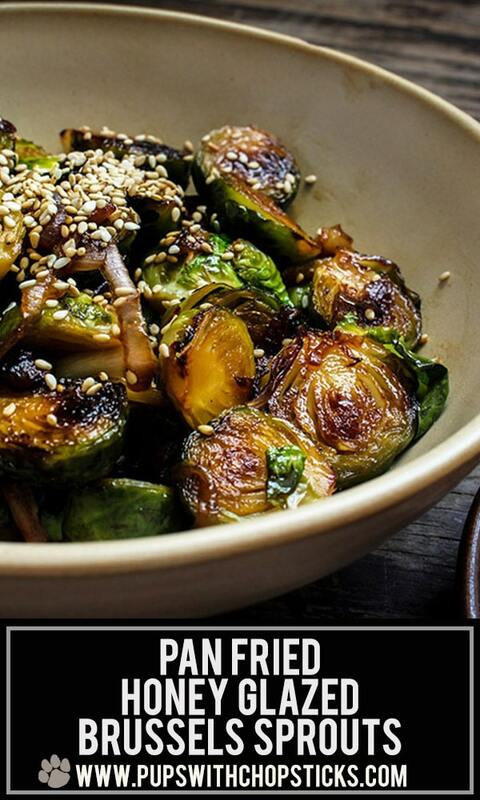 For this honey glazed pan fried brussels sprouts recipe, all ingredients can be found at a local grocery store. It’s a bit counter intuitive but when you are shopping for brussels sprouts, try to use fresh ones and pick the smaller ones. They have a sweeter flavour and tend to be more tender as well. 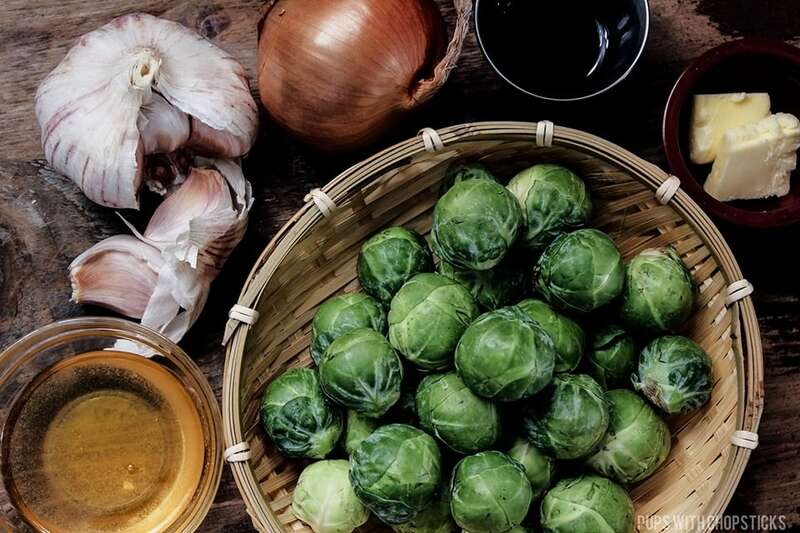 🙂 Also try to always buy fresh brussels sprouts – frozen brussels sprouts tend to be soggy and a bit water logged since it has been previously frozen which changes the texture of it. Brussels sprouts are pretty easy to work with, peel off any yellow outer leaves and cut off the ends if they look super dirty. A few leaves may come off, you can keep them or discard them – I don’t like to waste food so I usually just keep them. Whenever I cook with garlic, I tend to smash them instead of finely mincing it – I find they stay intact more and have a bigger surface area so they burn less. FLAT SIDE DOWN MAXIMIZES THE YUMMINESS! A bit of sriracha or any type of hot sauce for a bit of a kick? Yes please! In a small bowl, combine cold water and starch and mix until the starch has dissolved. Then add the soy sauce to it, and then the honey and mix together. Set aside. 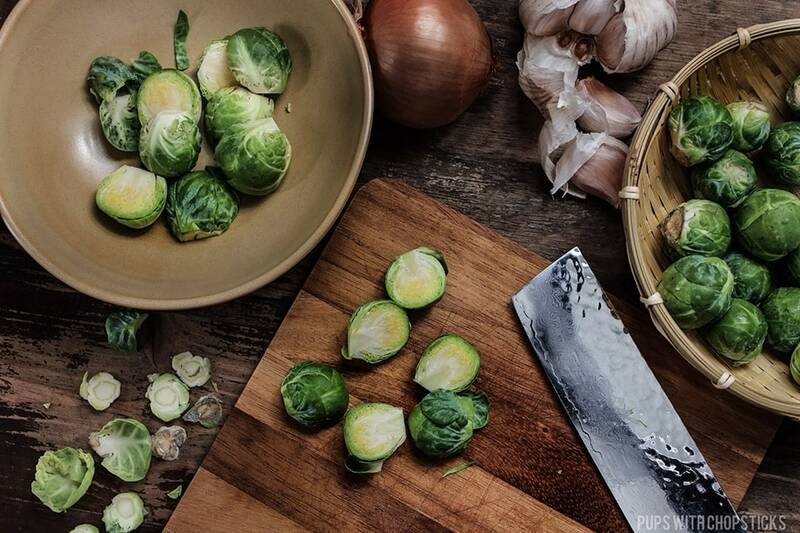 Remove any yellowed outer leaves from the brussels sprouts and slice off the dark ends. Cut them in half length wise. Give them a good soak in water and dunk it a few times to remove any dirty or soil from between the leaves. Drain them once they are clean. 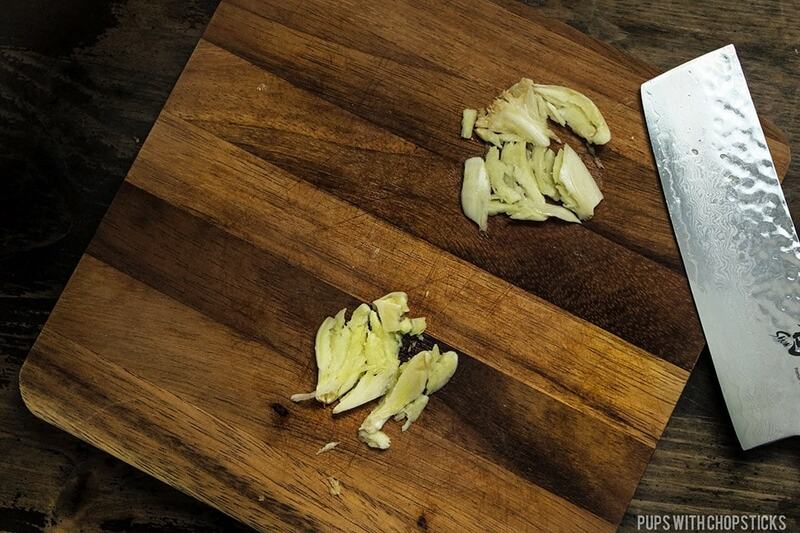 Smash the garlic to flatten it with the side of your knife and set aside. Once the brussels sprouts are brown on the flat side, stir everything a bit (so the onions and garlic don’t burn) and then flip the brussels sprouts and brown the rounded side of the brussels sprouts for a minute. Once both sides are brown, stir them with the onions for a few more seconds. 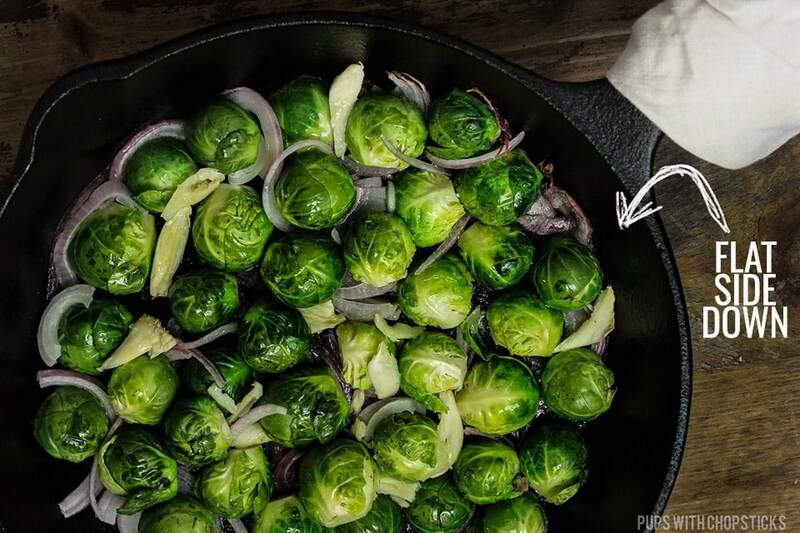 Try not to overcook the brussels sprouts, the goal is to toast and brown them and still maintain a rawness to them which will give it a bit of a raw crunch. Once it is brown, and bright green, transfer everything off the frying pan onto a plate. When the pan is hot, add the sauce to cook it. We want to reduce it about so it thickens and gets sticky. If the sauce boils too violently, turn down the heat very slightly. You still want the sauce to bubble but on a mild level. Depending on how hot your stove is, this should take about 1-3 minutes. You will know the sauce is done when it has thickened. 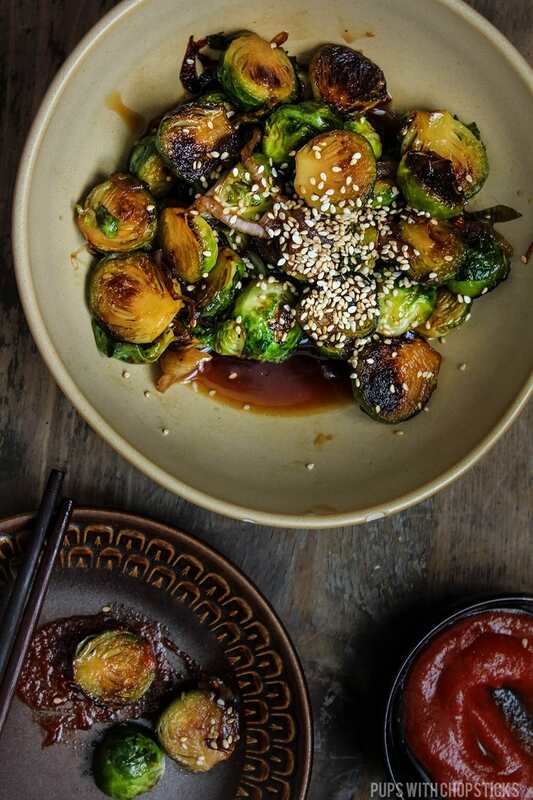 Drizzle the sauce over the brussels sprouts, or put all the brussels sprouts back into the pan and toss it with all the sauce. 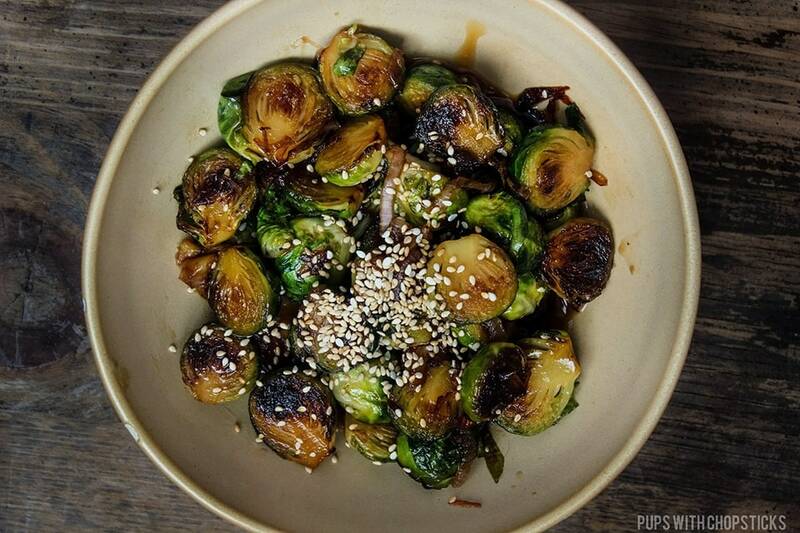 I love to eat brussel sprouts , but I haven’t try to do your way (use honey for cooking). It is a simple way and a stimulating photo as well. 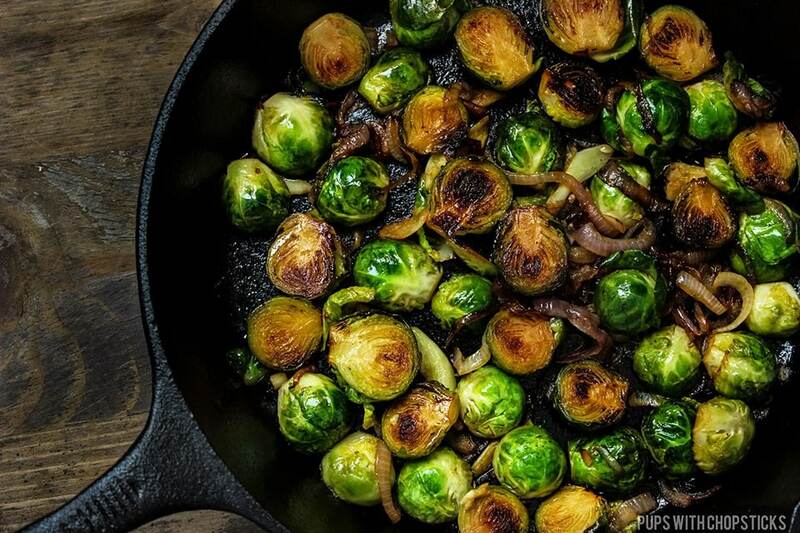 I am literally salivating over these gorgeous photos – who knew brussels sprouts could be so pretty? 😛 And that honey soy sauce glaze sounds to die for delicious! 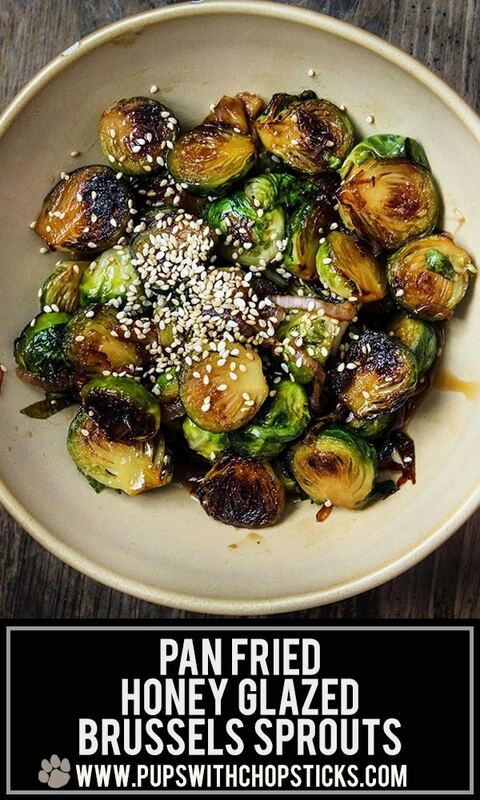 I’ve never tried doing anything with brussels sprouts other than roasting them with some olive oil, S&P, so this sounds like an exciting new twist I absolutely MUST try! Love that you caramelize them too, along with the onions. Bookmarking this recipe for sure, cannot wait to try it out! Aww thanks Shannon, you’re too kind. The sweet definitely gives this a interesting flavour and I love caramelized onions in everything haha 🙂 So much flavour! Hope you enjoy this! Like you, I’ve learned to love brussel sprouts later in life. What a lovely surprise to find out how delicious they are, and your recipe sounds divine! I can’t wait to try it. It’s funny how our taste buds change as we grow up, I wondered sometimes if I started eating them when I was younger if I would feel the same about them now…haha 🙂 Definitely surprised me how much I enjoyed them. These sound fantastic, and I love your tip to look for the smaller brussels sprouts when shopping – will definitely do that in the future! 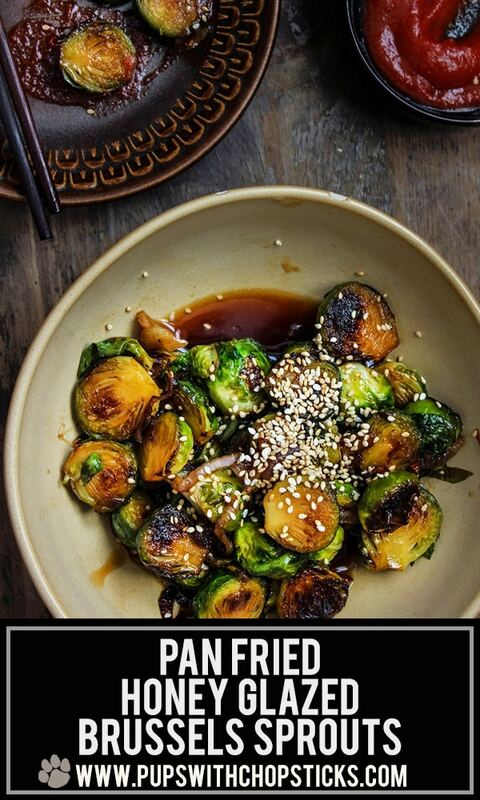 There are right and wrong ways to eat Brussel Sprouts, and this is certainly one of the right ways. Sounds utterly delicious and the perfact way to take away any bitterness. A great idea for a Christmas side dish. It’s definitely my a fave part! I am a huge Brussels sprout lover…unfortunately my family is not. Maybe this recipe will convince them to try again.